Barbara Baert (°1967) is Professor of Art History at the University of Leuven. 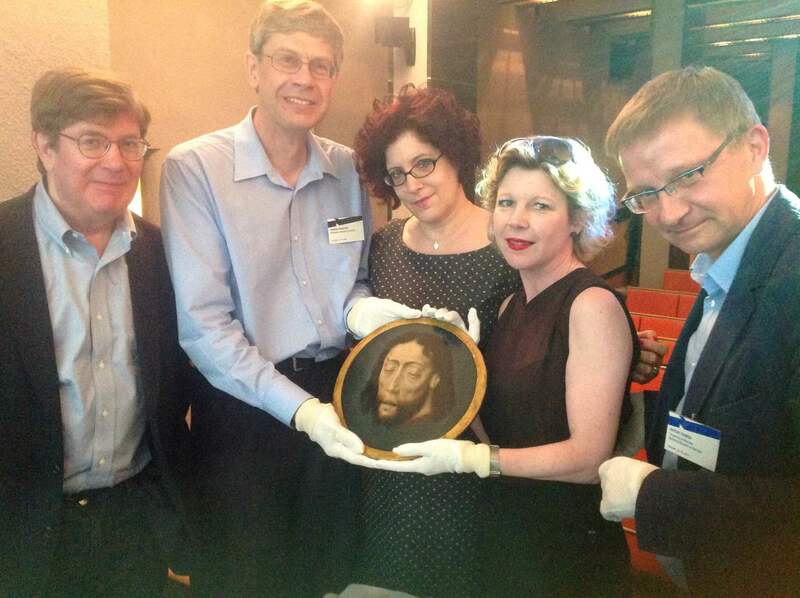 She teaches in the field of Iconology, Art Theory & Analysis, and Medieval Art. In 2006 Baert founded the Iconology Research Group (IRG), an international and interdisciplinary platform for the study of the interpretation of images. This research network promotes and intensifies collaboration between Iconology, Bildwissenschaften, and anthropologie visuelle: three research traditions aspiring similar objectives but often following separate (mostly national) trajectories. The group catalyses changes in the hermeneutics in this field of study and also stimulates dialogue with (and between) junior researchers. Committed to disseminating research results, Baert founded four series as editor-in-chief: Studies in Iconology (Peeters Publishers), Art&Religion (Peeters Publishers), Iconologies (ASP Editions), and most recently Recollection. Experimental Reflections on Texts, Images and Ideas (Leuven University Press). The latter involves presenting obscure or long-forgotten texts and discussions that may further timely discussions about methodologies in our field. Baert directs (and directed) several international research programs with numerous PhD students, such as: “Mary Magdalene and the Touching of Jesus. An Intra- and Interdisciplinary Investigation of the Interpretation of John 20:17”, financed by FWO (2004-2008); “The Woman with the Haemorrhage (Matthew 9:20-22; Mark 5:24-34; Luke 8:42b-48). An Iconological Study of the Interpretation of the Haemorrhoissa in Medieval Art”, funded by the University of Leuven (2008-2012); “Caput Iohannis in Disco. Object-Medium-function”, co-sponsored by FWO, the University of Leuven and the University of Vienna (2012-2016); “Ornamenta sacra. Iconology of Liturgical Objects”, financed by Belspo-Brain-be: Belgian Research Action Through Interdisciplinary networks in collaboration with UC Louvain and KIK/IRPA Institute for Cultural heritage (2017-2021); and “Kairós, or the Right Moment. Nachleben and Iconology”, funded by the University of Leuven (2018-2022). Baert was honoured twice with the highest scientific distinction of the Royal Academy of Belgium. In 1993, she won the prize of the “Koninklijke Academie voor Wetenschappen van België. Klasse Schone Kunsten” for her outstanding thesis in Art History (Barbara Baert, Het Boec van den Houte, Brussels, 1995). Subsequently, in 2006, she won the Academy’s award for her outstanding academic career before the age of 40. Since 2014, she has been member ad vitam (consoror) of the “Koninlijke Academie voor Wetenschappen van België. Klasse Schone Kunsten”. Between April and September 2015, Baert was senior fellow at the International Research Institute for Cultural Technologies and Media Philosophy in Weimar (IKKM, Bauhaus Universität).This centre of excellence invites scholars on the basis of improvements, impact, and importance in the human and media sciences. On 25 May 2016, Baert was awarded with the Pioneer’s Award of the University of Leuven (“Pioniersprijs”) for her pioneering work in iconology and medieval visual culture. This prize is awarded to a researcher or research group in the Humanities and Social Sciences Group who has initiated and conducted research that is scientifically innovative and opens a completely new avenue of research. In the same year, Baert was awarded with the prestigious Francqui Prize for the Human Sciences. 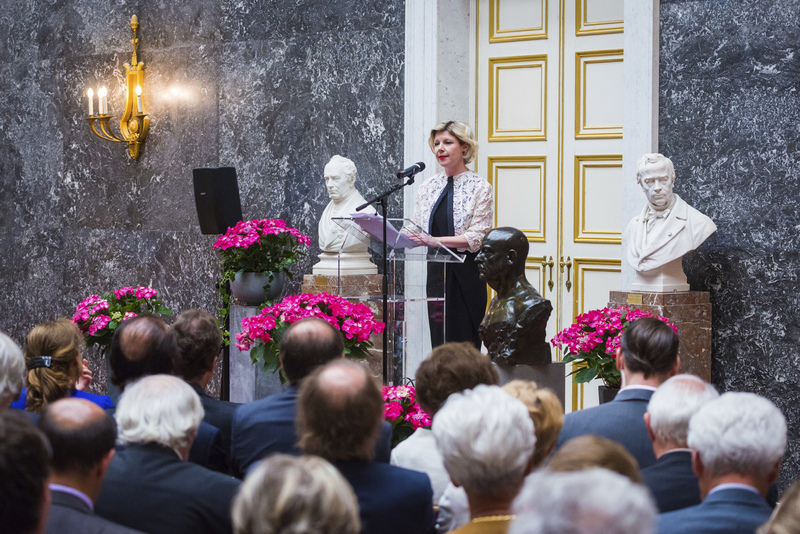 This prize, which counts as the highest scientific distinction in Belgium, is granted under the auspices of King Philippe in the following three-year rotation of disciplines: natural sciences, social sciences, and humanities. It was awarded to Baert by the King personally in a special ceremony in Brussels on 8 June 2016.